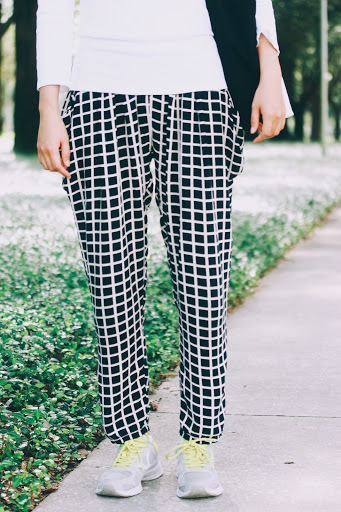 Windowpane print pants for the win. 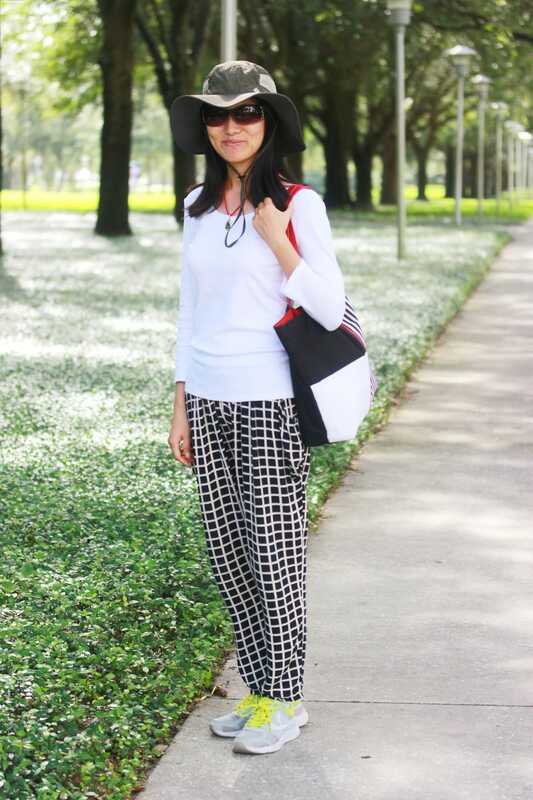 Xiaoqian’s outfit is a great example of how to balance comfort and style. 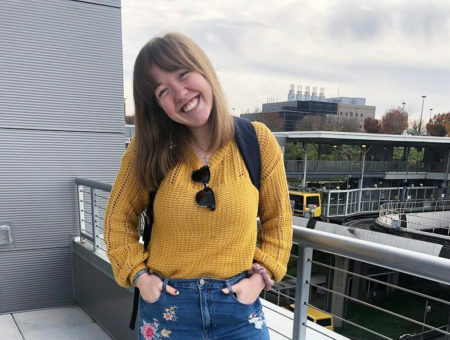 Her athleisure look is one part functional, one part fashion-forward, and it’s perfect for a sunny day spent running around campus. 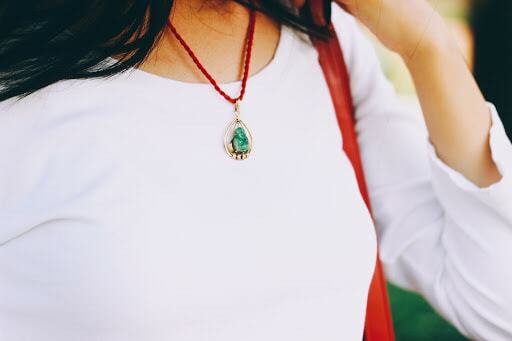 Xiaoqian’s grandmother passed down this charming jade necklace to her. 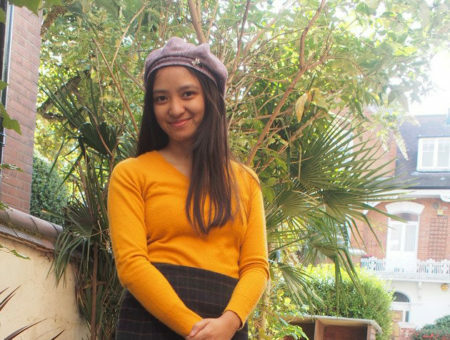 Oftentimes we treasure family heirlooms and don’t often wear them, but Xiaoqian wears hers with style. 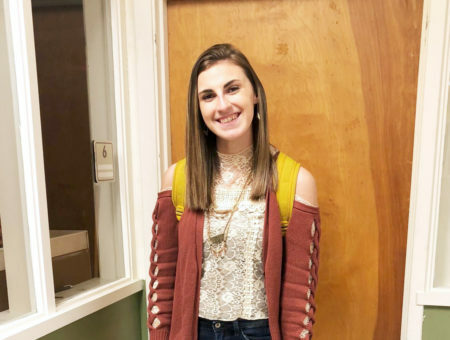 Her monochromatic outfit is an ideal base for her bold jade necklace. 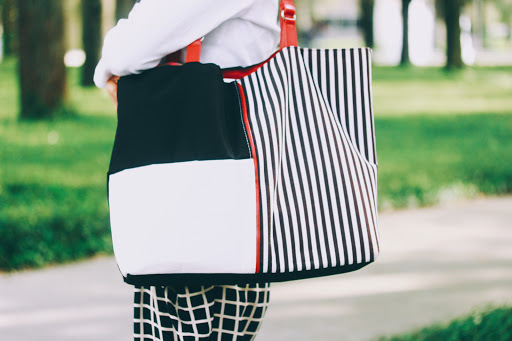 This colorblocked, striped tote is the key to carrying all of Xiaoqian’s grad school essentials. It’s lightweight and the red detailing on it gives her outfit a bold pop of color. All closets must have a pair of patterned pants. Running late? Throw on your patterned pants with a basic tee. They are a great way to effortlessly look stylish without any thought. We must know what you think! Do you love Xiaoqian’s style? What heirlooms do you love to wear? Would you wear this look? Comment below and share your thoughts with us!